Many people tend to read the Bible at the surface level and accept and obey what is there unquestioningly. This book takes an entirely different approach. It encourages readers to be honest and bold to acknowledge seeming shortcomings and question them. Who is bold enough to admit that the Genesis account of our origin is a weird story too difficult for an intelligent mind to accept and embrace? Even worse is the story of the "Fall" that sounds more like myth than fact. Why couldn't God forgive a mere peccadillo and let the couple continue living in paradise? The book forges into areas where readers have been mum, bringing to the fore violence and brutality, and questions how they could be associated with God the Father of his gentle Son, Jesus. But the pauses are mere signposts of something rich hiding underneath. 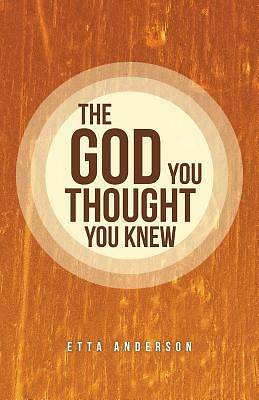 The God You Thought You Knew is a compendium of rich treasures gathered from a trip across the Scriptures that will generate a new excitement for God's holy word.